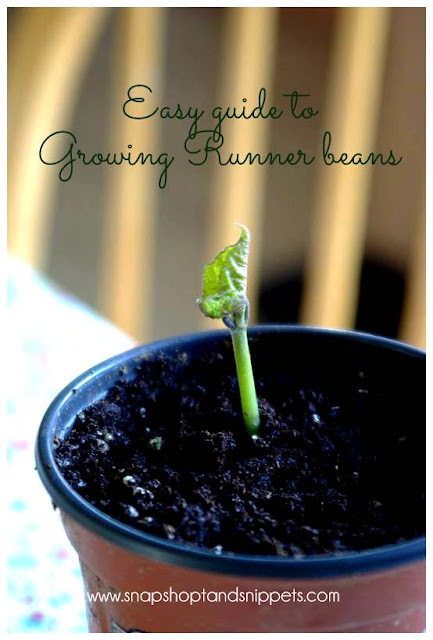 As promised I am back with my simple guide to Growing Runner Beans I love growing them as they are a simple crop and have learned to love beans as a consequence they are also great to use as a rotation crop as like peas they return nitrogen to the soil. 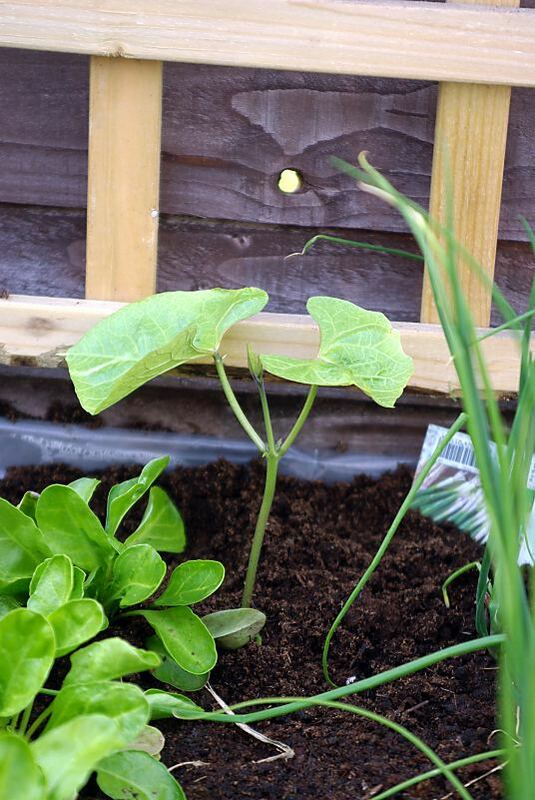 You can plant your beans from April right through to July. I started mine in April in the greenhouse and then put a couple in the ground in May and then June get a continuous crop. 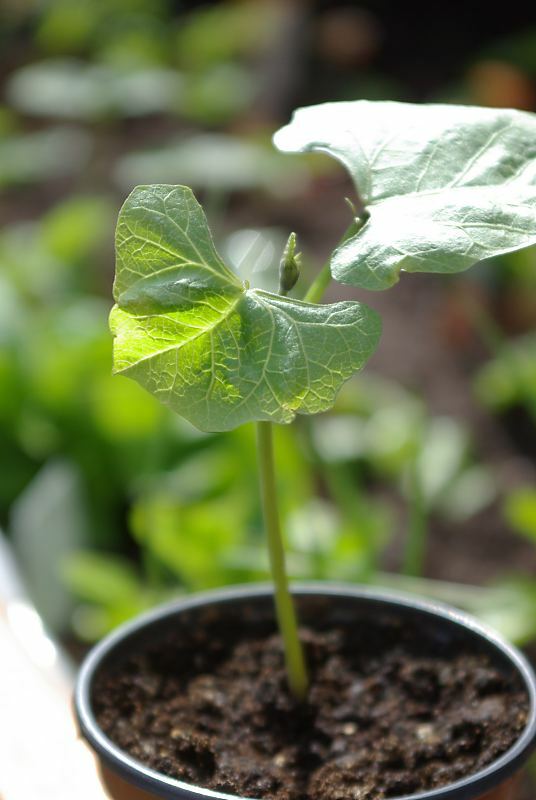 Starting them off in the greenhouse means you can protect your little seedling from late frosts. When they are ready to plant out pick a warm, sunny sheltered spot in well-prepared soil. They like soil a little on the alkaline side so you can add a bit of lime if your soil is too acidic. Most importantly you must give them something to climb – they love to climb. I have grown mine in pots up poles and in the raised bed up a trellis, both ways worked for me. Make sure you protect the little plants from slugs who seem quite fond of them – you can see some ways of doing that HERE. Keep them well watered especially if it is dry. Not a problem this summer in Ireland I can tell you! Train them to climb the support you have provided. Once they are starting to set flowers and they have reached the top of your support, pinch out the growing tip to encourage them to send out more side shoot. 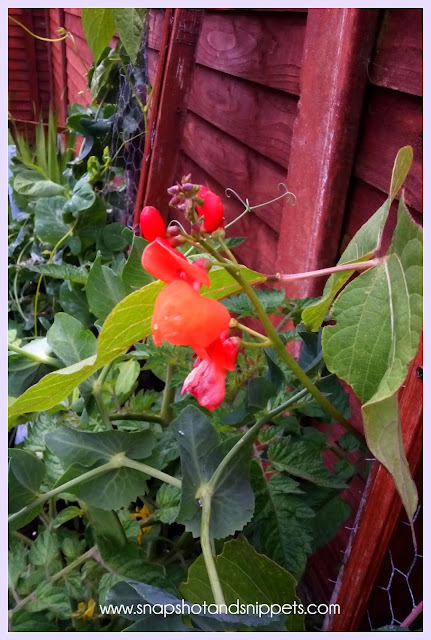 Which will mean more flowers and more beans. One of the things I love about Runner beans is the gorgeous flowers they produce. They really brighten up the vegetable garden and bring that extra colour. Start harvesting as soon as pods reach about 6 inches. I actually have been picking them even smaller, to chop up into salads for a bit of extra crunch. 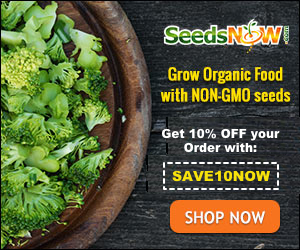 Don’t let them set seeds and they can crop for up to 8 weeks. As I said I like them chopped up raw in a salad. 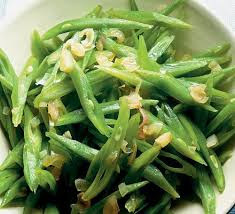 then toss them in a pan with butter and shallots – it is divine !! Or this recipe by Nigel Slater for Runner beans with lemon and Garlic crumb is a winner !! Growing Garlic and what I did wrong this year and how I plan to get it right. If you are looking for other gardening posts, you can go to my Start Here page and you will find links to all my posts. 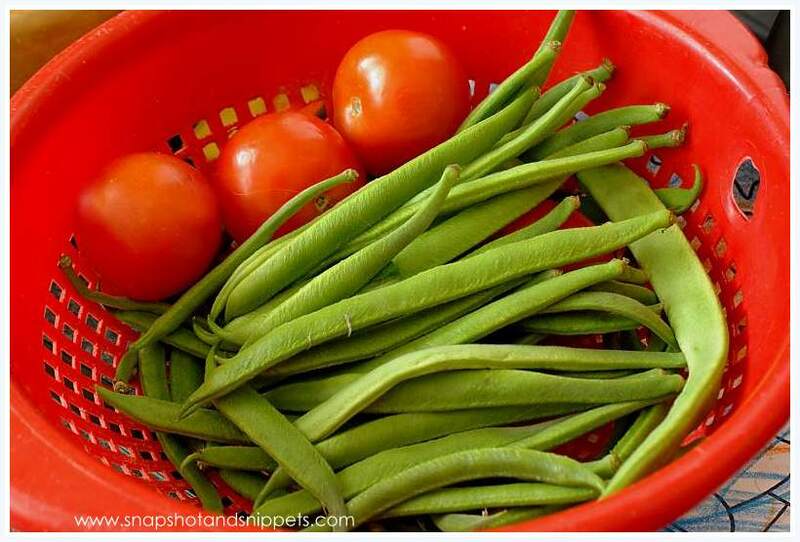 Or you can sign up for the Snapshot and Snippets newsletter below and get my beginners guide to growing Organic Vegetables in your back garden. Awesome! Not sure what I will grow this year, but these look like something I could do lol. Thanks for sharing! I would love it if you added it to my weekly Kind & Healthy linkup!